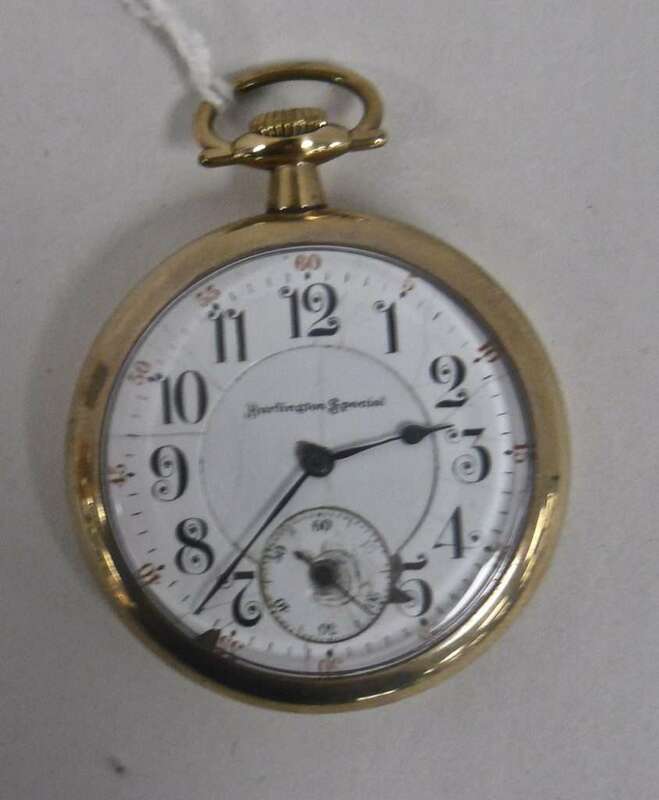 A Burlington Pocket Watch, An 1837 Pistol and the Classic Hummel: ‘Umbrella Boy’! Model of 1836, Made by Robert Johnson of Middletown Connecticut, Lock Plate Dated 1837, $1650.00 – Booth 12. 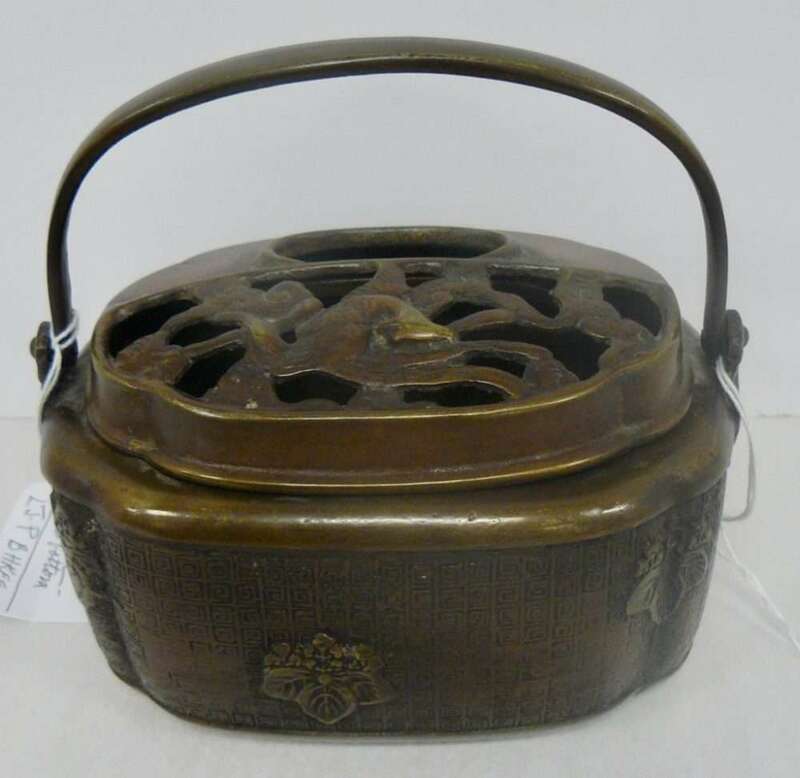 Chinese Hand Warmer – Bronze, Booth 3, $395.00. 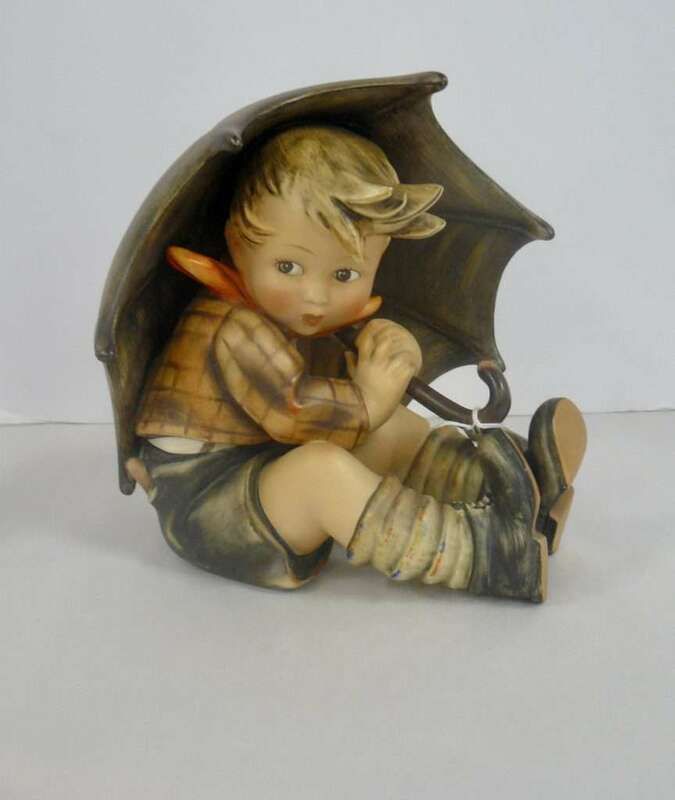 Hummel ‘Umbrella Boy’ – 8 Inches High – $625.00, Booth 1. Matching Girl Available. 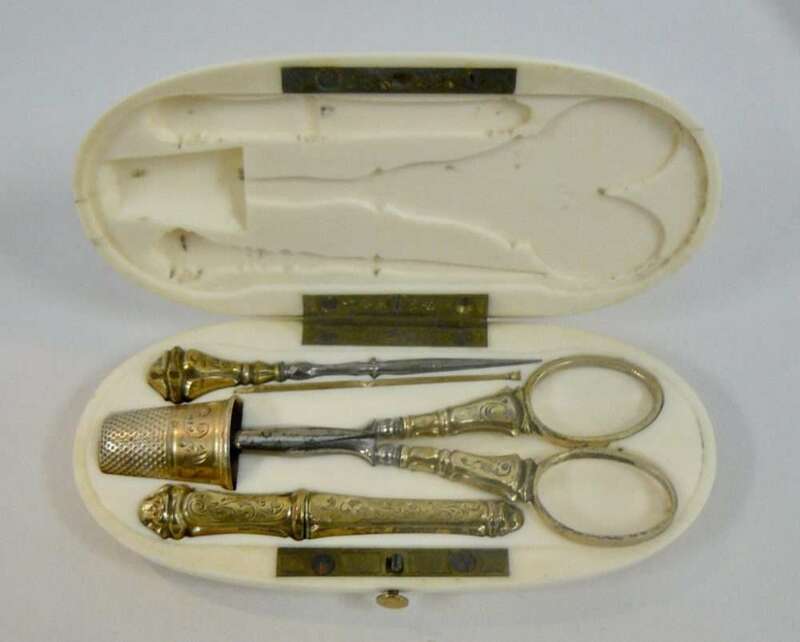 19th Century French Sewing Kit in Ivory Necessary Case – $1,195.00, Booth 314. 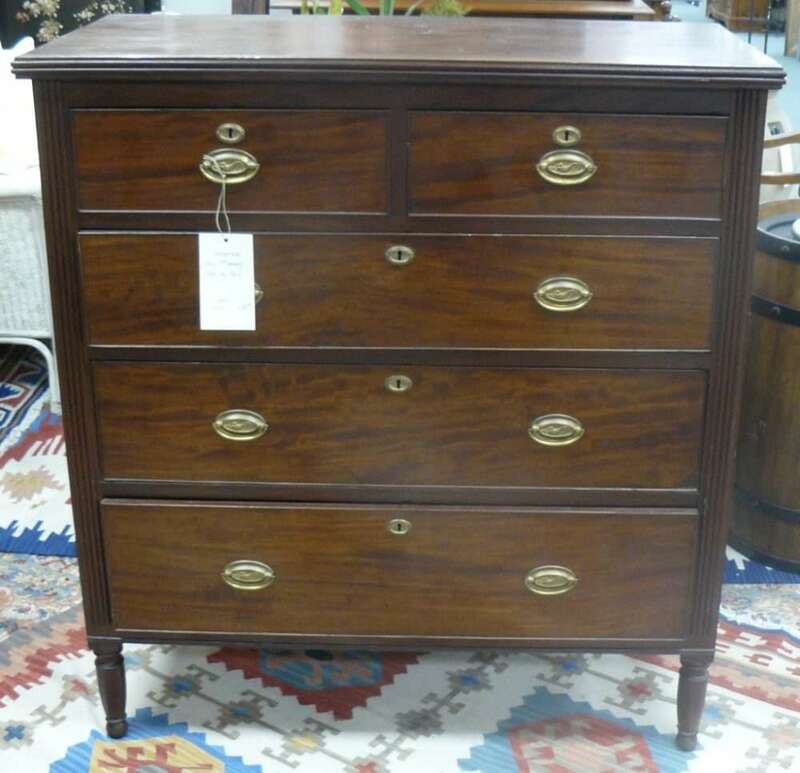 Early 19th Century Turned Leg Chest of Drawers – $1800.00 – Booth 40. 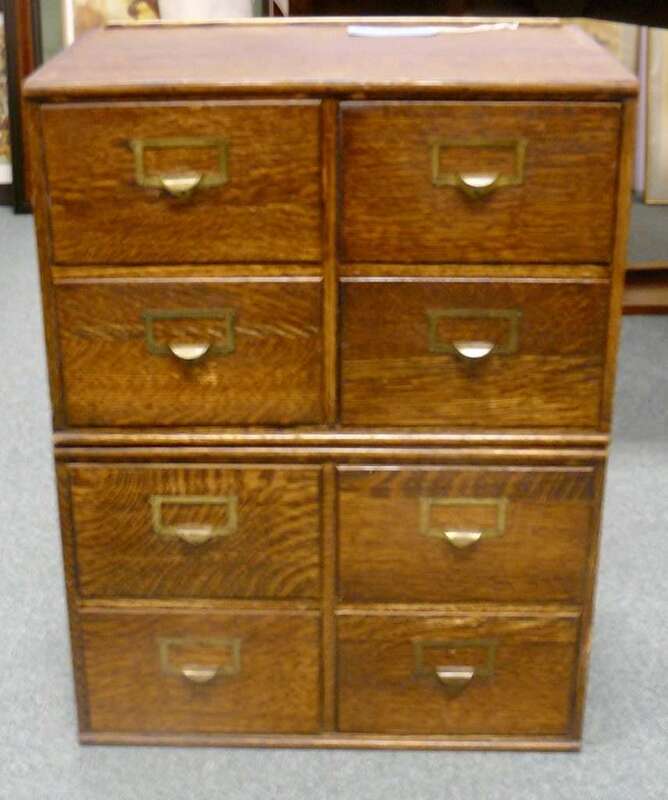 Macy Eight Drawer Filing Cabinet – Perfect for Postcards, DVD’s! 2 Pieces, Oak – $450.00 – Booth 318. 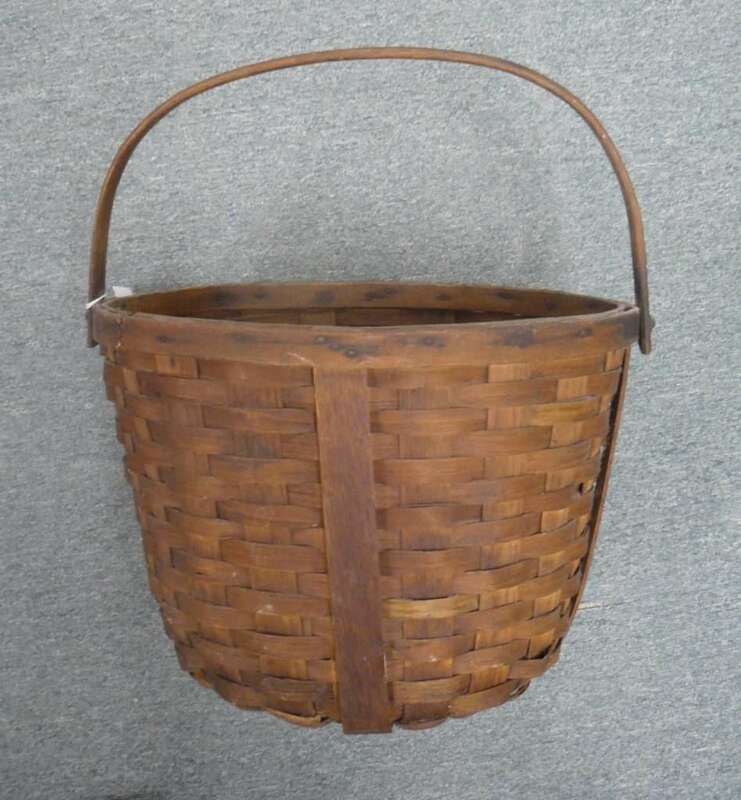 Primitive Oak Gathering Basket – Booth 26, $65.00. 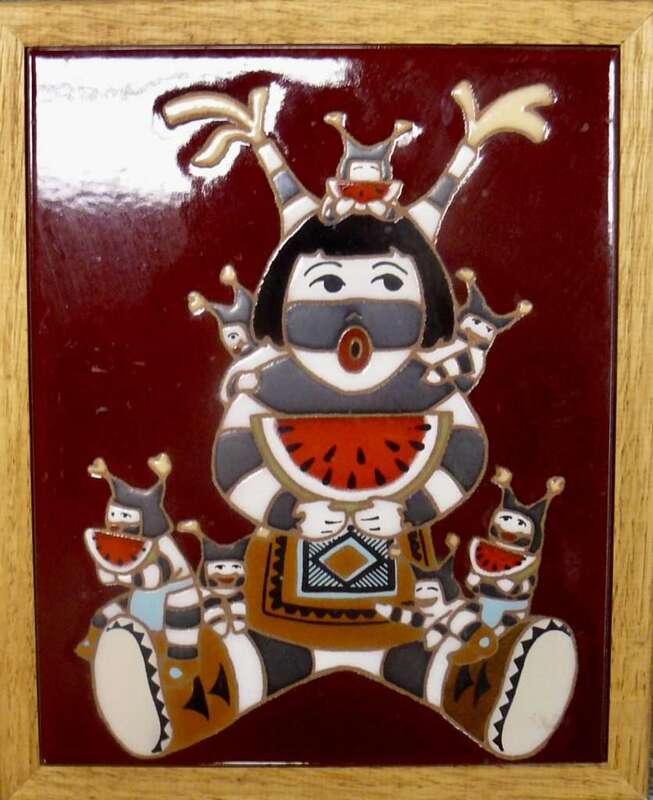 Framed Koshare Storyteller Tile, Framed – $30.00 – Booth 262. ‹ A Dropfront Desk, A Herend Cache Pot and Flame Mahogany Tall Chest!